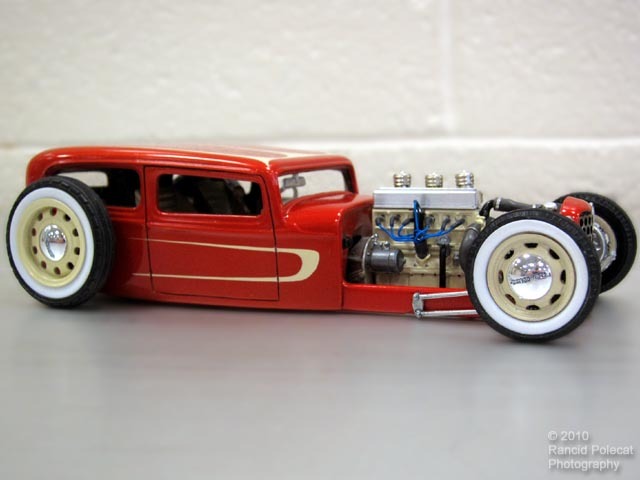 A welcome new trend in the Rat Rod movement is that they are starting to evolve into finished cars. In this new stage, the same level of unfettered creativity and design freedom continues to prevail, as does the focus on driveability and fun. We've seen several very nice examples such as Posie's Speed Queen, ThunderRoad, and Fleetliner. These are the same sort of cars, just taken to the next level of finishing.